WARNING: This post might be longer than normal! But it's a beauty so enjoy! I have known Danielle for approximately 3(ish) years. We get our sweat on together at the same gym (shout out to Carla Sanchez at Performance Ready Fitness Studio). Danielle is a lawyer, with a bright personality, an infectious laugh, and a heart of pure gold. When I first met Mr. Mike, I could not have imagined a more soft-spoken, gentle, teddy bear of a man. Danielle tells me he is her old soul - really a 70 year old man shoved inside a young mans body. Always willing to do a million things for everyone else, and only one for himself last, he is the perfect compliment for Danielle. 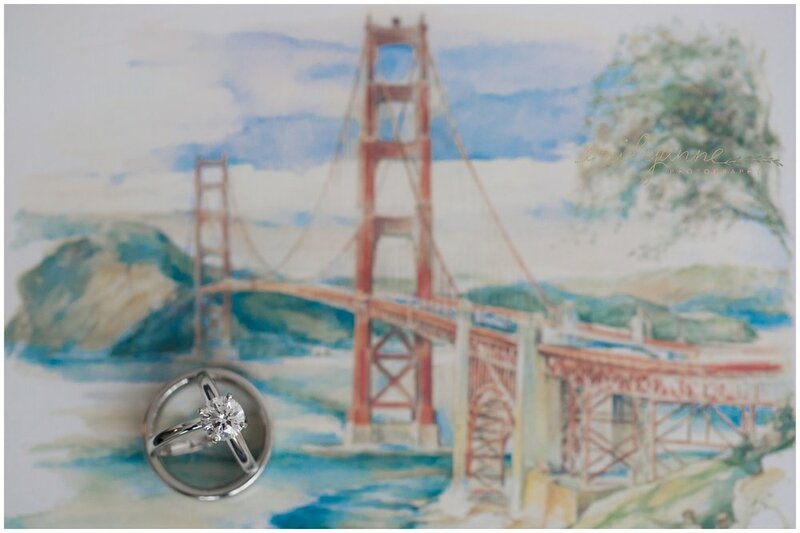 So in May of 2016, I ventured out to beautiful San Francisco - my favorite city by the bay - and with Jiyeon of The Allens Photography by my side, documented the special joining of Mike, Danielle, and sweet B. :) It was every bit intimate and unique as they dreamed it to be! Mike and Danielle surprised their guests with a private trolley ride around the city before heading to the wedding and surprise number 2! Surprise 2 was that Mike and Danielle would be getting married on a private yacht in the middle of the bay!! After we got everyone loaded on, we snuck Danielle down the ramp and onto the bottom of the yacht. And as we were cruising out to sea, it was the perfect time to capture some of my favorite bridal portraits to date! A special thank you to Commodore Events for being such amazing hosts. The crew we had was exceptional! And also a major shout out to Christina of Detailed Elegance Event Planning and Design. She not only planned this beautiful destination wedding from Colorado, but she also orchestrated the Colorado reception Mike and Danielle had back home at Crooked Willow Farms a few weeks later! Who wouldn't love to get all dressed up again and party some more?! Congratulations Mike, Danielle, and sweet B! I love you all so very much, and wish you nothing but the best!